Her determination to perform keeps her furious spirit in the Old World, and she's going to sing to the Phoenix King one day no matter how many mortals puny she has to go through first. The Vampire Lord Luthor Harkon has had his mind splintered by a Lizardman hex, so a series of rotating traits affect his battlefield capabilities as he cycles through different aspects of his personality. The heroes have their personal objectives, but they are all united by the expansion's broader mission: to kill a legendary ocean creature and resurrect it to fight for them using a necromantic sea shanty. The Le Chuck-like Count Noctilus raids the Old World from a maelstrom in the deep seas, and the human pirate captain Aranessa Saltspire wants riches, and they're all about to fight one another for the prize. The Tomb Kings' ability to raise entire armies so quickly minimised economy and public order wrangling. 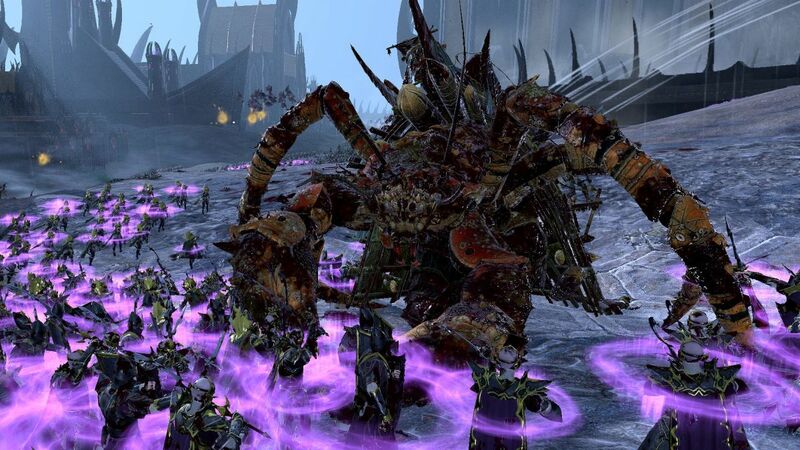 Fortunately the Vampire Coast heroes can infiltrate ports to install a 'pirate cove' that siphons funds away from the unsuspecting population.